Although I am by no means finished buying or playing 3DS or Vita games, there's little doubt in my mind that most of the money I spend on this hobby in 2018 will be directed toward Switch titles. The eight Switch games discussed here aren't the only ones I'm looking forward to playing this year, by the way. They're just the ones I'm most itching to experience. As such, don't be surprised if I eventually publish a follow-up post to this one that details some of the other Switch titles I hope to tackle by the time 2019 rolls around. 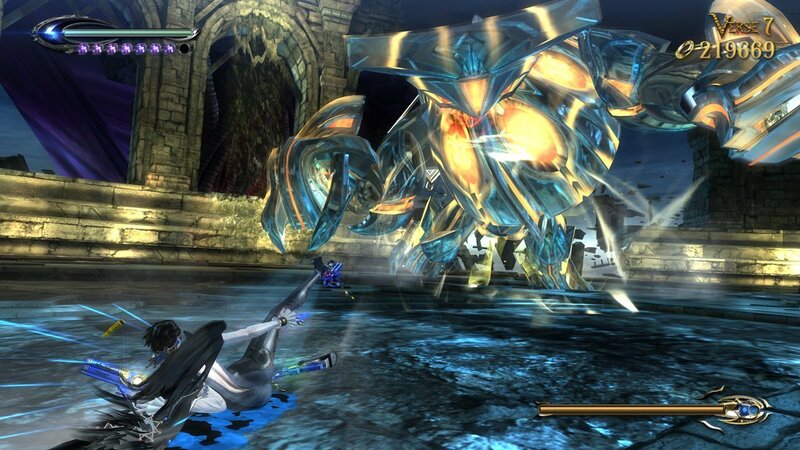 Bayonetta 2--I wish I could tell you why I've yet to try the first Bayonetta title. I've had an Xbox 360 for years, after all. The best explanation I can offer up is Microsoft's second console has never quite clicked with me, and as a result I've rarely felt like buying games for it. (The only retail Xbox 360 game I currently own is Deadly Premonition.) 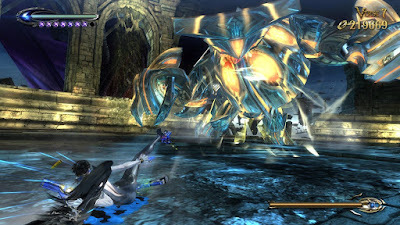 Well, I'll soon have my chance to try both the original Bayonetta and its sequel, and you can bet I'm going to take advantage of it. Here's hoping I find the gameplay in these titles as fabulously appealing as their saucy protagonist. 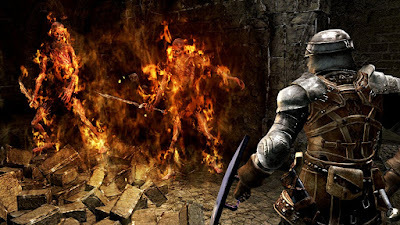 Dark Souls: Remastered--Here's another widely heralded game I've long ignored because of my lack of love for the Xbox 360 (and my lack of a PS3, period). That's not a comment on my interest in the title, though. In fact, I've wanted to see what all the fuss was about since Dark Souls first made a splash in 2011. Thanks to Namco Bandai's decision to bring the recently announced "remastered" version of the game to Switch, I'll be able to do just that this coming spring. What do you think: will I enjoy it, or will it completely overwhelm me? Dragon Quest Builders 2--I considered writing about the upcoming Switch port of the first Dragon Quest Builders here, but I've chatted about that game (which I pre-ordered as soon as Amazon allowed it) enough on line, so let's talk about its in-the-works sequel. To be honest, I don't know much about it at the moment. 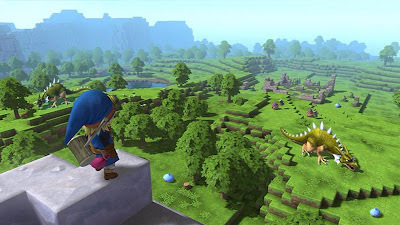 As long as Dragon Quest Builders 2 offers up a few new twists on the original's charming, Minecraft-esque gameplay, though, I doubt I'll regret my purchase. 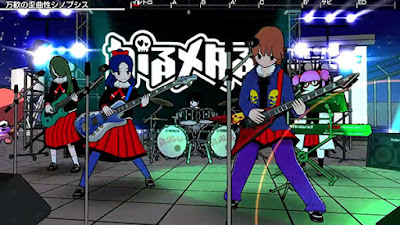 Gal Metal!--What can I say? I tend to like music and rhythm games. I even enjoyed Wii Music, for crying out loud. That lack of taste (some might say, at least) may serve me well after my copy of this curious import arrives on our doorstep in a few weeks. Although there's little question Gal Metal! 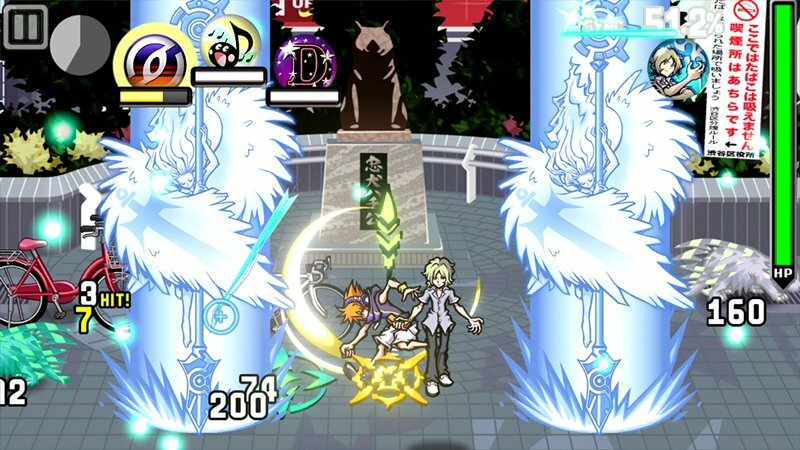 looks great, there are a lot of questions surrounding its gameplay, which appears eerily similar to the much-maligned Wii game mentioned earlier. Granted, the move-your-Joy-Cons-like-drum-sticks controls at the center of Gal Metal! should be far more accurate than the ones showcased in Wii Music, but that doesn't mean they'll be fun. Oh, well, even if the game disappoints, I'll still have a snazzy piece of cover art to ogle. 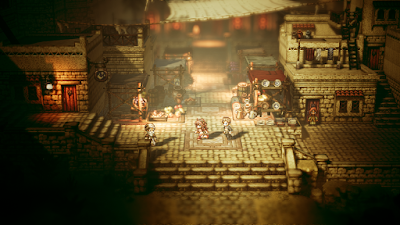 Project Octopath Traveler--I won't be at all surprised if this SaGa-esque RPG winds up being my most-played Switch game this year. After all, I put more than four hours into its surprise-released demo, and the full game is expected to feature eight characters and storylines--add all of that together and you've got at least 50 hours of role-playing goodness, don't you think? Even if that doesn't end up being the case, I'm absolutely champing at the bit to tackle as many of its quests as I can before I even think of pinning a 2019 calendar on my wall. The Longest 5 Minutes--I rather stupidly bought the Japanese Vita version of this game back in 2016. (Learn more about it and check out some photos of its packaging in this post.) I say "rather stupidly" not just because it's in a language I'm still (slowly) learning, but also because I've yet to even put the aforementioned cartridge in my pink-and-white Vita. Despite all that, I pre-ordered a physical copy of the upcoming Switch port of The Longest 5 Minutes as soon as it went up on Amazon. Why? 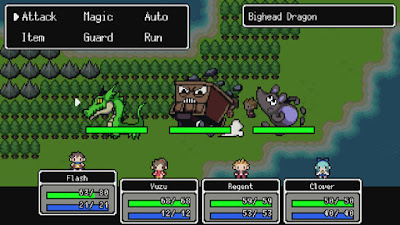 I continue to be intrigued by its gameplay, which boldly combines elements of two of my favorite genres: RPGs and visual novels. The World Ends With You: Final Remix--It's been a long time since I played the original version of The World Ends With You. And even then I didn't get close to finishing it. Why I'm willing to buy this enhanced, rejiggered "remix" rather than return to the DS cart I already own is beyond me. 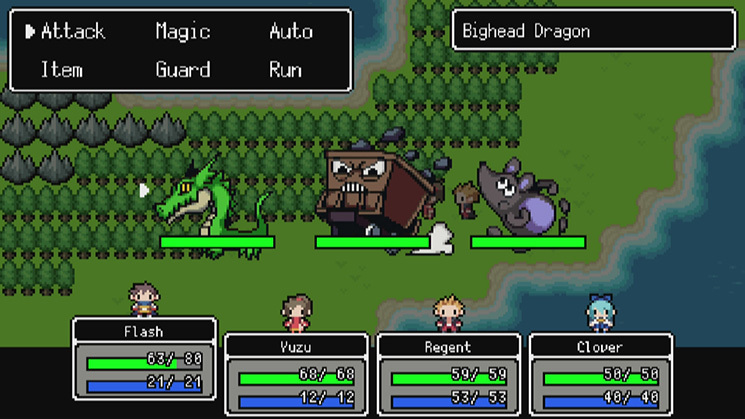 I guess I'm just hoping this version of the game will be a little less frantic than its dual-screened predecessor. I'm still not sold on Final Remix's "updated" visuals, by the way, but I'm reserving judgment until I see them in person and in motion. Valkyria Chronicles 4--One of the few games that had me seriously thinking of buying a PS3 back in the day was Valkyria Chronicles. 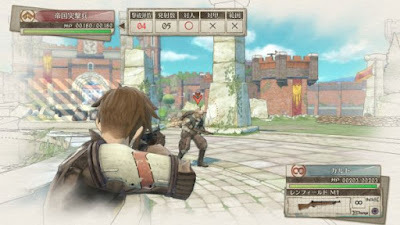 I never went through with that purchase, though, and I similarly passed on Valkyria's two PSP sequels, so I'm still waiting to give this Sega-made series of tactical RPGs a go. I'm not at all sure this fourth entry will prove to be the best introduction, but what other choice do I have at this point? Thankfully, the worst-case scenario is I send some money Sega's way and support third-party publishers on Switch at the same time. I'm OK with that. Are you looking forward to playing any Switch games in particular this year? If so, let me know which ones in the comments section that follows.